Villa Emauha has three distinct features that set it apart from all other vacation residences. First, its towering architecture that puts the villa at a better vantage point – giving you scenic views from its view deck and from its verandas. Second, its compact layout that makes full use of the space available – providing you with all the essential amenities and appointments for your utmost comfort and convenience. Finally, its predominant color scheme of contrasting dark and warm hues and elements – creating spaces that are stylish and aesthetically appealing. With its overall design, Villa Emauha may truly be setting a new trend in contemporary vacation living. On the second floor are the villa’s two bedrooms. Both open out to verandas with views of the pool, the garden and the picturesque landscape in the distance. At the edge of the villa is the six-meter infinity pool – the focal point of the property’s outdoor area. Wade into its cool waters for a leisurely dip or simply allow yourself to buoyantly float around. Up on the covered view deck, recline and relax on the pool bed. Or lazily lounge with your favorite beverage or drink at the alfresco dining area. From the covered view deck, you can just step indoors and find your spot on the long and large couch of the living area. With a wall-mounted widescreen TV installed, you need not miss the latest episode of your favorite hit series. The kitchen section is just a few steps away. Here, you can easily concoct scrumptious dishes which you can show off on the table for six of the indoor dining area. Between the kitchen and the dining area is a counter. Provided with high chairs, this can also serve as a bar where you can all hang out for quick snacks, cocktails and after-dinner drinks. Regular services at the villa include housekeeping, gardening and pool maintenance. 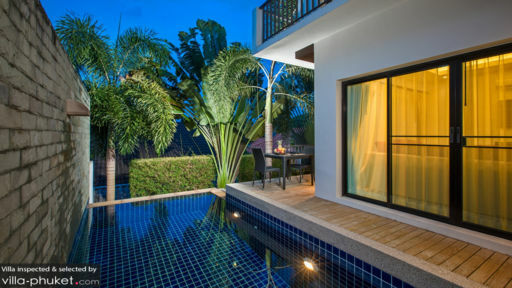 Very close to Villa Emauha’s location is Nai Harn – a white-sand beach ideal for swimming. Here, you can also get onboard a traditional Long-Tail Boat for an island-hopping tour of nearby Ko Bon, Ko Kaew, Ko Lon, Ko Aeo and Ko Hae – which is also known as Coral Island. Nai Harn is also where you can have your fill of really delicious seafood. Check out the specialties at Sala Loi and get to experience traditional dining – from a mat on the floor. Towards late afternoon, head off to the Phuket Shell Museum and to Promthep Cape View Point in time to catch the magical sunset. The villa was very clean and seemed quite new. The beds were very comfortable, everything needed was already there - complimentary drinking water and even complimentary beer. Bathroom ammenities were also good, clean towels, soap, eveything in place. The pool is not too big, but very nice. The location of the villa is perfect - only 15 minutes walking from the beach, which was really important for the parents, because they were not driving motobikes. 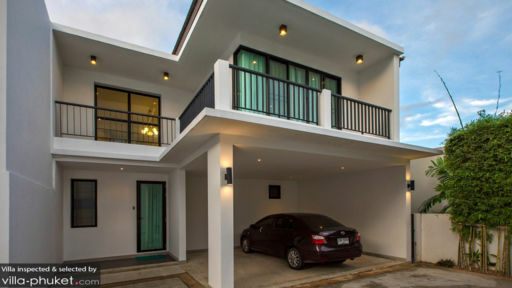 I travelled to Phuket together with my wife and to children.We were staying at the house for a month.It was the house we had looked for! It was spacious enough but not huge. There were all the neccesary room facilities and WiFi. There was even an extra bed in one of the bedrooms. We didn't use it,but for a big company it could be useful.The room,garden and pool services did their best to keep the garden, the pool and the rooms clean. The stuff was very polite and nice. The location was great for us! The Nai Harn Beach was in 15 minutes walk from the house. And the lake to jog around in the morning too. The greatest suprise for us was that the visitting of Nai Harn Gym (one of Phuket's largest gyms) was free for us. It was included in the house rent. We were pleased to have such an opportunity! 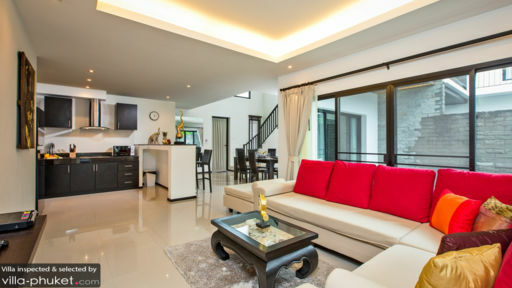 So if we go to Phuket next summer we will stay at that villa again with pleasure.